Will Idris Elba Let His Daughter Attend His Coachella Set? The 2019 Golden Globes is alive and well with father-daughter star power. 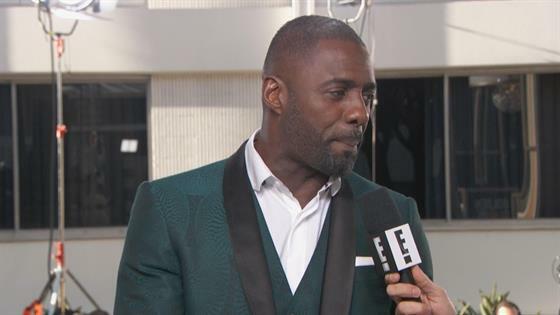 Idris Elba accompanied 16-year-old daughter Isan Elba on the red carpet for tonight's star-studded ceremony, where she is set to serve as the official Golden Globe Ambassador. The Hollywood Foreign Press Association announced last November that Isan would take on the prestigious role, which was previously known as Miss Golden Globe. E! 's Ryan Seacrestcaught up with Isan, Idris and his fiancée Sabrina Dhowre before making their way into The Beverly Hilton, and from the looks of their practically identical smiles, the Elba family will never forget this moment. "I told her to keep her back straight, elegance is presence, smile and nod politely even if you can't understand what anyone's saying," Idris teased. "If you feel like you're going to pass out.. don't." "She's good. She's so confident!" the proud pops gushed. "I can't help but be a dad. I'll just try to be cool." The British A-lister also revealed what to expect from his upcoming set at the 2019 Coachella Arts & Music Festival, which he called a "lifetime ambition." "I'm going to rock Coachella," Elba added. "It's going to be great." Enjoy the evening, you two!